Butternut squash is one of the most popular winter squash and is packed full of wonderful flavor. Additionally, butternut squash is low in calories and contains zero cholesterol or saturated fats! Check out the recipe below. 1. Preheat the oven to 400 degrees F. Cut, seed and peel your butternut squash. Carefully cut the squash crosswise into 3/4-inch slices, and then cut those slices into cubes. Lightly coat the squash with olive oil and a big pinch of salt. Spread squash evenly on a baking sheet lined with parchment paper. Roast for 10 to 15 minutes, then turn cubes over and roast or an additional 10 to 15 minutes or until tender. 2. In a large bowl, toss together the kale, squash and blue cheese. Toss with the vinaigrette. 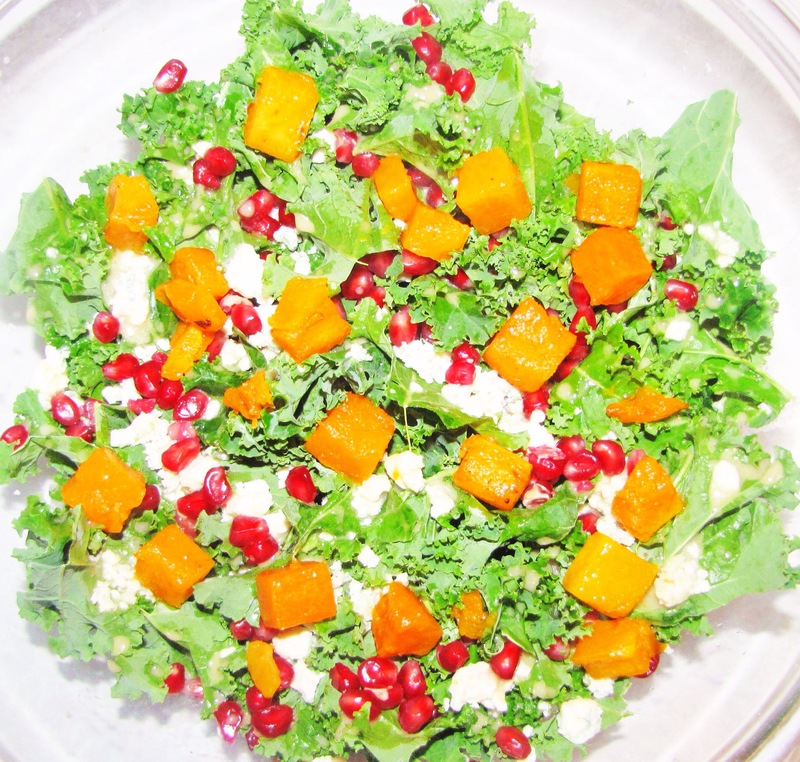 Divide the salad among serving bowls and sprinkle with pomegranate seeds before serving.